Facing foreclosure can be frightening. If you are behind on mortgage payments or know that you will be soon, you are not alone. Brevard County has one of the highest foreclosure rates in the country right now. It does not appear real estate problems will be resolving any time soon. In the middle of this crisis, those in foreclosure often feel lost and unfortunately turn to the wrong places for help. Some turn to those who are well-intentioned but unqualified, and still others turn to opportunistic scammers who promise the impossible, take their money and disappear. Mortgage foreclosure is a serious matter that will have lasting consequences on your credit and could result in a substantial deficiency judgment. 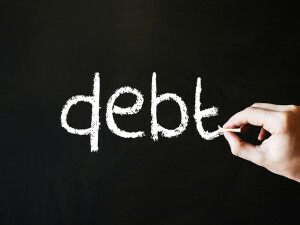 Even if you did fail to pay your debt, you may have defenses available to you. Defending your foreclosure may give you time and leverage to negotiate with your lender. An experienced foreclosure defense attorney can protect your rights and help you decide on a path to get through foreclosure with as little damage as possible, potentially saving you thousands of dollars and avoiding bankruptcy. It is important that you act quickly. You have a limited amount of time after being served with a summons and complaint in which to file a response, or a default judgment may be entered against you. Applying for a modification or submitting a short sale offer does not stop the court from entering a default. Call our Melbourne office today for a free consultation and we can help you create a plan which can include applying for modification, participating in court-ordered mediation, and/or obtaining approval for a short sale.